This module will integrate the Pin Payments Payment system with any magento site, and allow direct credit card purchases. Token based, thus makes it easier to become PCI compliant. No credit card information is transmitted to your server or magento site. Uses Pin Payments Pin.js to send credit card details, and get token. This module should be compatible with all versions of magento. Using another checkout module? Unsure if it will work with Pin Payments mageno extension? Pop us an email to sales at proxiblue.com.au and attach the checkout extension install files, and request a free compatibility check. Be sure before you buy. We are always looking to make this extension more compatible with checkout modules. I suppose it's normally a fairly cold transaction this website extension coding gig but not here from ProxiBlue. 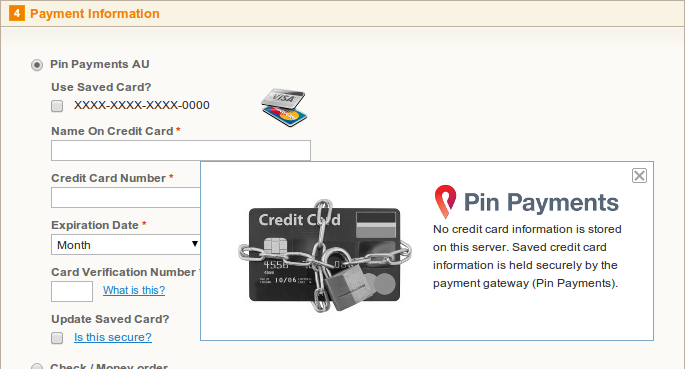 I purchased the PinPayments module and installed it as per the instructions (or so I thought) and ran into some issues. I sent an email to tech support and was quickly offered all the help imaginable and we worked together tirelessly to resolve the issue, issues which basically stemmed from me. I'm stoked with all the help and support until the wee hours of the morning and am over the moon with the seamless integration of their module. I could not be happier. Product simply does what it is supposed to do. 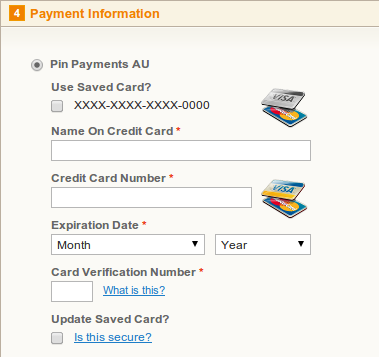 If you are using PIN payment for Magento, this is the extension you are looking for. We did many test and live transactions, none of them had any problem. The source is well written, response, and very fast. We have professional Magento developer, but still it worth $99 for this great extension. We are also happy with ProxiBlue's fast response. We did find a tiny issue related to image display, but got a reply, and a fix, in one hour. Yes, we recommend this extension to you. This is exactly what I needed. 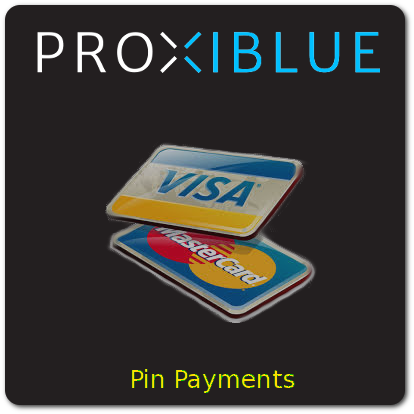 Covers all the Pin Payments functionality, easy to setup and great after sales support (if needed). The module is easy to install, easy to setup and easy to use. Saved me a lot of time. It even supports online refunds from within the customer invoice, an unexpected but welcomed surprise.